at any of our ATMs. In a move towards green initiative and better customer service, Bank of Baroda has introduced yet another customer centric initiative whereby cardholder can generate the debit card PIN by using any Bank of Baroda ATM. It is easy and convenient. 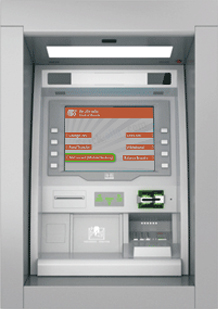 Insert your Debit Card at any Bank of Baroda ATM and select “Set/ Re- Generate PIN” option on the screen. On next screens, you will be prompted to enter credentials and activation pass code/ OTP received on your registered mobile number. On successful entry of the above details, you will be prompted to set desired Debit Card PIN on the next screen. Once successfully set, your Debit Card is ready for use. To set/Re-set your Debit Card PIN at Bank of Baroda ATM, your mobile number must be registered with the Bank. Please contact your Bank of Baroda branch for registering mobile number if not registered already. In case, you are not able to generate Debit Card PIN, please contact branch or call contact Center helpline 1800 102 44 55 for requesting physical PIN mailer. All the debit card variants are not enabled for Green PIN. The physical PIN mailer will continue to be provided for the debit card variants not enabled for Green PIN.